At Diane Hair International we understand how difficult going through hair loss can be. We guarantee to offer you a concerning approach and sympathetic service and to do our best to find you the best solution to any of your hair loss worries. 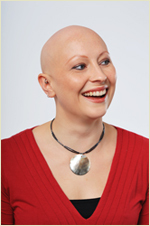 We can help clients who have alopecia, small and large areas of hair loss and chemotherapy patients. Clients in most of the East Anglia area can access our trichologist clinic located in Cambridge, a large amount of our clients travel from Norwich, Peterborough and Ipswich. Why go to London when you can receive expert advice and exceptional customer service in Cambridge. If you are dealing with chemotherapy or alopecia Diane Hair can provide you with solutions to deal with any resulting hair loss. We can provide you with beautiful wigs, hair pieces and hair extensions. Our compassionate staff will provide you with all the support you need to find a secure, naturally appearing hair solution; we have a wide selection of hair pieces, which have been specially developed for people that are dealing with medical hair loss. If you are interested in receiving an in depth, private consultation regarding hair loss then give us a call on 07980 233369, alternatively you can fill in our online enquiry form and we will get back to you as soon as possible. Remember we serve the whole East Anglia area, which includes Cambridge, Norwich, Peterborough and Ipswich.